The rank hypocrisy of the green industry protestors apparently knows no bounds. 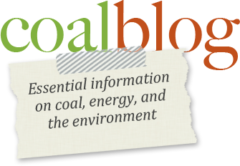 It is an education to watch the videos of the anti-coal export protests that were carried out over the past weekend (July 28, 2013) in Vancouver, WA. Just like the jet-setting figureheads and well-paid leaders of their billion dollar, multinational organizations, these regional protestors eagerly take on the “do as I say, not as I do” lifestyle as they enjoy a lavish, fossil fuel-based gala, all the while demanding that the rest of the world “divest,” close up shop, and (just) stop. You can see in these videos how supposedly “eco-conscious” NIMBY groups fuel their protest and “direct action” training with mountains of catered food aboard three private yachts at Vancouver, WA. It’s hard to miss their reliance on the various metals and rare earth minerals provided by the mining industry for their vehicles, computers, jewelry, microphones, climbing gear, sound systems, etc. You can see their conspicuous consumption of plastic and synthetic products from the oil and gas and coal industries for their plastic plates, plastic protest signs, plastic and synthetic climbing ropes, helmets, and harnesses, the fuel for their yachts and vehicles, etc. They also make free use of the abundant and affordable electricity provided by the damming of Pacific Northwest rivers and the consumption of fossil fuels. Many of the protestors are also wearing designer and brand name clothing that was provided by “big oil” and “big agriculture.” And of course none of us should miss the fact that many of them will have made it to the protest in their own vehicle (metal, fossil fuels, plastic, etc.). Their entire way of life is a study in cognitive dissonance, but they just don’t seem to get it as they arrogantly demand — around the remains of just one more croissant — that everyone (but them) cease and cut back. Even more amazing (or disturbing) than their sumptuous catered banquet and conspicuous consumption is the way in which they casually discuss the use of violence as having “tactful” (sic) and “strategic” value to their movement. The direct action training discussions give viewers a disturbing glimpse into their attitudes and morality. It’s worth reconsidering that thought and mulling it over for a few seconds. Protestors are openly stating that they personally steer away from violence, NOT because people might be injured or killed, or public and private property might be destroyed, but because, in their opinion, it isn’t as effective as non-violent protest tactics. So we see that at the base of these types of anti protests are a fundamental ignorance of what gives them the ability to travel to protests, print their signs, fuel their yachts and vehicles, publish and disseminate their messages, and feed their bussed in protestors. There is also a fundamental ignorance on their part about the freedoms and liberties on which they rely to achieve their political aims. They demand the freedom to speak openly about their concerns for the environment and then openly advocate for the violent repression of those same freedoms for others who advocate for the reasonable, clean, and efficient production and use of our natural resources. Thanks to Jeff Reynolds and Daylight Disinfectant for sharing these videos.